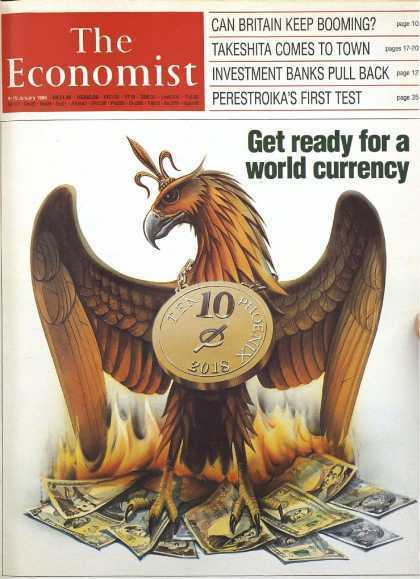 Rothschild Controlled Media Outlet — "Get Ready for a World Currency by 2018"
Does anyone really want international bankers to have such a vast amount of political power on top of the massive financial influence and sway they already hold in the halls of power? People want more say in their own lives, not having policy dictated to them by international banksters and bureaucrats. If so, please share this important information about the push for a one world currency and the agenda driving it! Jay Syrmopoulos is an geopolitical analyst, freethinker, and ardent opponent of authoritarianism. He is currently a graduate student at the University of Denver pursuing a masters in Global Affairs and holds a BA in International Relations. Jay’s writing has been featured on both mainstream and independent media – and has been viewed tens of millions of times. You can follow him on Twitter @SirMetropolis and on Facebook at SirMetropolis. You can support his work at Patreon. This article first appeared at The Free Thought Project. 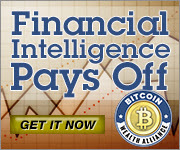 7 Comments on "Rothschild Controlled Media Outlet — “Get Ready for a World Currency by 2018”"
Expect it to fail by 2019. In the environment created, by all the means in which it was created, and to which ends it has transformed those whom undertook it. It shall be discovered that their works, were but filling a bag littered with holes, with sands. More un-backed funny-money?? No way. If they predicted the election of Donald Trump and what he did to all those trade agreements well then that’d be something. That they didn’t means they won’t doing any such thing especially in this country. Too many people awake to what these globalist criminals are up to. Especially at the top. They don’t know it yet but that’s a reincarnation of Old Hickory sitting in today’s Oval Office and they’re the proposed first US Central Bank and soon as he was elected they just lost. That’s the evil Rothschi*d/NA*O-ISra*l ZioNazi One World Govt. (ZNWO) dream alright! That’s why they are orchestrating all the endless Luciferian ZioNazi wars under evil NA*O/IS-ra*l, starting in this century, especially in the highly strategic Middle East and East Africa including Syria, Palestine, Iraq, Libya, Yemen, Sudan and Somalia, which is actually about – the absolute control by NA*O/IS-ra*l, of the trillions worth of deep sea oil/gas of the five major world oceans, and among these oceans most strategic global chokepoint/maritime straits, that include the three Straits of – Bab El Mandeb (by the Red Sea/Gulf of Aden in the Indian Ocean); Melaka (by the Indian ocean) and Hormuz (by the Persian Gulf of the Indian Ocean)! To the best of my knowledge, the rothschilds own Reuters and associated press, who then own the rest of the MSM news outlets. Evil has empowered the ignorant and emotional to do their dirty work for them. We pride ourselves in who knows the puppet show better as if it were a contest. Being poked through the bars from the outside, we foolishly fight each other instead of uniting against the common enemy that is against us all. Fractured, and divided, the American people are at odds with one another more than ever and the evil that promotes this knows how well it is working. We play right into their hands. Article after article is written and a sea of comments follows with it amounting to “much to do of nothing”, because we are too busy fighting each other to figure out what is really going on. A distraction. A division designed to incite violence and weaken the unity of the people. Keeping us busy fighting one another as to not focus on them. War has been the most protested thing in half a century and yet here we are embroiled in more wars than we have been in recorded history. We have turned our protests and fight against the information wars into a form of entertainment because we have been conditioned to attack one another with politically correct name calling. Anyone who has a different view is quickly called racists, xenophobe, bully or some other term that is soup de jour. And they never fail to come up with more divisive names that we are trained to call one another. Demonized and vilified, your neighbor, colleague or fellow citizen is the enemy. They are the scapegoat to take responsibility for all that is wrong, thus leaving us righteous and free of fault. Want to end the cycle of evil being used against you? Stop playing into their hands. Stop commenting on endless articles depicting every detail of evils advancing agenda that we do nothing about. Quit feeding twitter with mission accomplished name calling we wipe our hands about afterward. Starve facebook and MSM by not contributing. Cease to be a part of the machine that feeds off your participation. Stop being a crisis junkie consumer in the spin lies and fake news. Break the addiction to looking for and responding to the manufactured sensationalism. The Economist’s propagandists call this globalism a “natural move”, when it is nothing of the sort. The Rothschild’s lust for money and power, like this proposed world currency, is unnatural and must be forced on the world. If anything is natural, it is the desire to be free from people like this. When you own the soapbox, you can stand on it anytime you want, and say anything you please.